Former US President Barack Obama made First Lady Melania Trump smile and absolutely everybody was making the same joke. I think we all know what that joke is. Melania was without husband Donald at the funeral of former first lady Barbara Bush at the weekend, who was actually away visiting one of his golf resorts in Florida. Priorities. The White House told BBC News the reason for the president’s absence was ‘to avoid disruptions due to added security, and out of respect for the Bush Family’. Melania was sitting next to Obama during the service, and at one point, the two shared an exchange and it was actually quite nice. During the service, Obama leaned over and appeared to say something to Melania, who both briefly smiled ― and with that, it has gone viral. 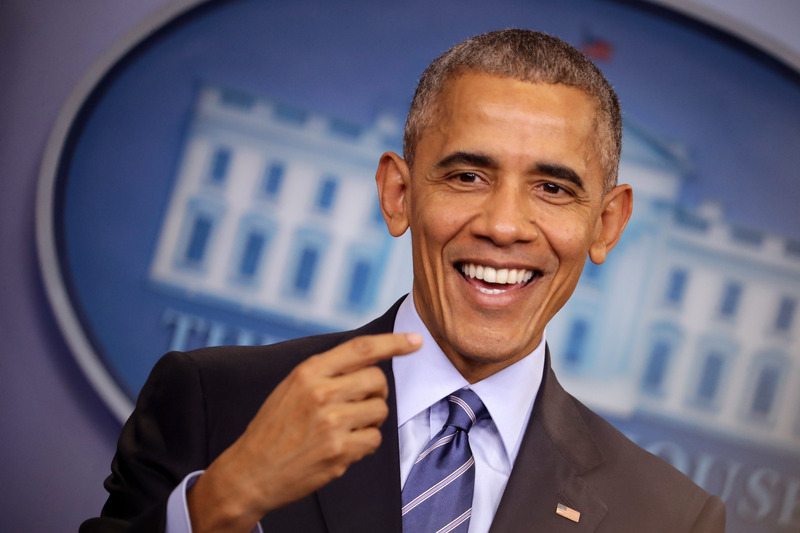 Nothing said class like Obama making Melania smile and feel welcome…knowing she supported her husband’s birther movement and asked on national television to see Obama’s birth certificate. Pop Quiz: Of these two photos of Melania Trump, which one was taken at a funeral? Melania has been the subject of viral photos many times, but it’s usually when she’s next to her husband. One particularly uncomfortable exchange came during a visit to Joint Base Andrews, a US military facility located in Prince George’s County, Maryland. As Melania introduced him, he approached the podium, thanks Melania – with a handshake – before telling her where to ‘go across the stage’. And the standard awkward and uncomfortable spousal backing away and spousal shove. Wow. Are we sure… like 100% sure she's not a hostage???? 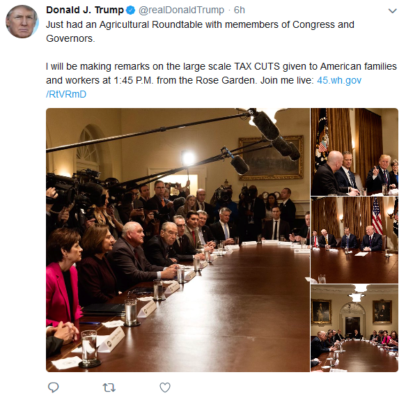 Earlier this month, Donald Trump tweeted a very serious image of himself alongside lawmakers and governors for what he called an ‘agricultural roundtable’. Just had an Agricultural Roundtable with members of Congress and Governors. I will be making remarks on the large scale TAX CUTS given to American families and workers at 1.45pm from the Rose Garden. But if you look at the picture, something stands out. No, it’s not Trump’s expression, it’s not anything to do with him. If you check out John Kelly over there. What’s he doing? The tweet was swiftly deleted, but not before some screen-grabbing. And then it went viral. Kelly had previously been pictured with his head slumped and cross-armed while Trump blamed ‘both sides’ for the violent white supremacist rally in Charlottesville, Virginia last year. The week before, it emerged The National Enquirer paid Trump’s doorman $30,000 to stop him publicly speaking out about a rumour Trump fathered a love child. Interesting. 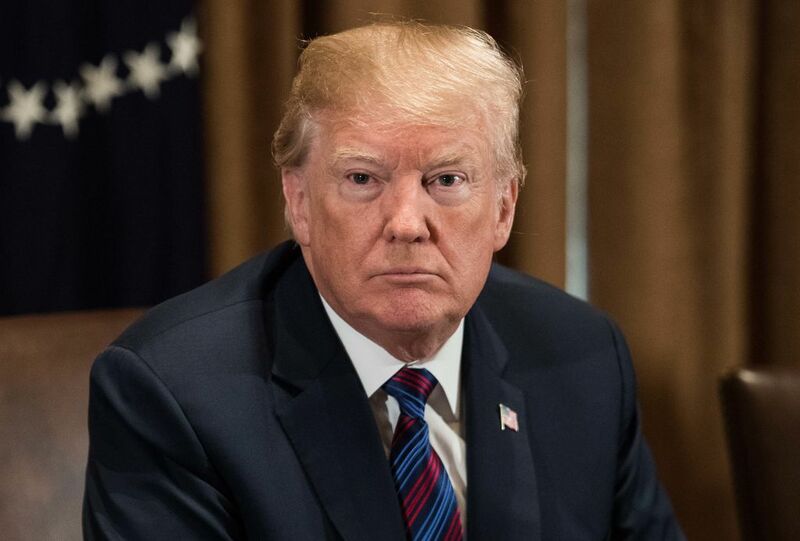 Dino Sajudin told the magazine of a rumour alleging Donald Trump fathered an illegitimate child with an employee at Trump World Tower, a skyscraper he owns near the United Nations building in New York. However, four former staffers at The National Enquirer have claimed they were told to stop pursuing the story by top editors. Another former reporter expressed scepticism the publishing company would pay such a large figure for the tip and not produce a story. Today I awoke to learn that a confidential agreement I had with AMI (The National Enquirer) with regard to a story about President Trump was leaked to the press. I can confirm that while working at Trump World Tower I was instructed not to criticize President Trump’s former housekeeper due to a prior relationship she had with President Trump which produced a child. The women involved, who remains unnamed, had denied the affair which is alleged to have occurred in the 1980s.